International HR team with a Talent Recruiter to support our talent acquisition. As a Talent Recruiter, you’ll be responsible for the full-cycle recruitment of positions throughout our international organization. You’ll be in charge for sourcing, pre-screening, interviewing and referring qualified candidates to hiring departments. Typical candidates you will develop stretch across several job families to include Data Science, Data Engineering, Analysts, Consulting roles such as Managing Consultant, Senior & Junior Consultant and other support related roles. ▪ Ensure the highest level of quality of output to your clients. ▪ Undertake ad hoc assignments from time to time and other duties as requested by management. You have demonstrated success in your first 2+ years of career at a tier 1 consulting firm and have 1+ years of experience managing projects and/or clients. ▪ Manage all types of display campaigns on operation (including but not limited to GDT, WeChat, DSP and other related platforms). ▪ Independently handle all the campaign briefing, setup, tracking, operation, optimization, reporting and insights. ▪ Coordinate with internal creative and account team to ensure campaign deliveries. ▪ Familiar with Tencent Social Ads campaign mechanism, ad policy and ad format products line. ▪ Understand the features (pricing, advantage, etc ) of all Tencent ad product and be able to give operational recommendation to planning team. ▪ Minimum of 1 year hands- on experience operating at least two ad platforms (Tencent Social Ads will be a plus). ▪ Minimum of 2 years’ experience in digital advertising adverting industry. ▪ Strong in data analysis, traffic management, campaign optimization, tracking and reporting. ▪ Written English is a must. ▪ Self-motivation and strong desire to learn. ▪ Good internal coordination and communication skills. As an E-Commerce Director, you will be at the core of shaping and delivering e-commerce related projects to respond to business strategy. You are likely to lead a range of activities from identifying opportunities to project managing the business solution implementation. 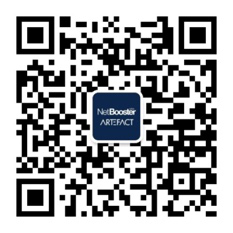 The role is part of the Asia Pacific NetBooster/Artefact, especially for China, that provides strategic leadership and direction for the building of E-Commerce capability across the region by planning and implementing programs and initiatives those E-Commerce results. It provides leadership for the development of strategy and plans for e-commerce. It will be accountable for the execution and delivery of the programs and initiatives developed for E-Commerce and will be accountable for the delivery of business results. By engaging, consulting and collaborating with different leads, this role will work strategically and tactically to empowering teams on a broad range of key and complex E-Commerce capabilities and will be accountable has the right strategies, plans, skills, processes, structure, tools and systems in place to allow the business to meet and exceed set E-Commerce goals. ▪ Leadership for E-Commerce, including practices in project development, demand generation and analytics. ▪ Building C-level relationships with the major e-Commerce players to drive partnerships at a strategic level. ▪ Work closely with cross functional teams, including social & SEO SEM and Client service teams to identify E-Commerce opportunities. ▪ Create and maintain leadership relationships with E-Commerce executives and managers at key retail accounts identify strategic and operational next steps, circulate news on E-Commerce account developments to internal stakeholders. ▪ Ability to acquire, retain and utilize knowledge of differences in retailer website technical capabilities and business processes and to customize recommendations to maximize presence of the products based upon technical and business operation best practices. ▪ Lead analytics of performance, and competitive analysis, in multichannel and pure play channels. ▪ Prepare, and occasionally deliver, presentations to E-Commerce and merchant resources at Retailer accounts. ▪ Minimum of three (3) or more years of E-Commerce strategic experience, and be able to define and make decision. ▪ Experience in leading a cross-functional team including sales & marketing, supply chain & IT. ▪ Minimum of five (5) or more years combined experience in retail key account management, sales planning, account development, marketing and/or business development. ▪ Understanding of end-user shopper experience as it relates to online shopping. ▪ Existing e-commerce network of buyers, vendors and peers optimized on professional social media. ▪ Ability to drive strategy and change while implementing, analyzing and reporting on numerous concurrent E-Commerce projects. Ability to navigate well in ambiguity. ▪ Superior analytical skills and experience applying data to make decisions. Record of making decisions and implementing change. ▪ Project management experience with demonstrated ability to prioritize work independently and manage multiple tasks. The Account Manager (AM) serves as the primary business contact for the client and is responsible for client satisfaction. The AM is expected to consistently provide excellent customer service to accounts, as well as represent client needs and goals within the organization to ensure quality. In addition, the AM will should build relationships with clients to encourage new and repeat business opportunities. ▪ Works with the Account Director, ensuring that client requirements/project briefs are received, converted to an internal version, and cascaded to the team in a clear, complete and accurate manner. ▪ Provides regular input on all account activity, including status and call reports on a weekly basis. ▪ SEO SEM eCommerce and programmatic buying is a must, and Social Media and/or SCRM experience is a plus. ▪ Find and develop opportunities, lead pursuits and own the commercial negotiations to close new contracts. ▪ Support manage the business unit sales pipeline to achieve targets. ▪ At least 2 years related working experience, with a good team player attitude. ▪ Strong communication and organizational skills, able to manage requirements in different type of projects at the same time.